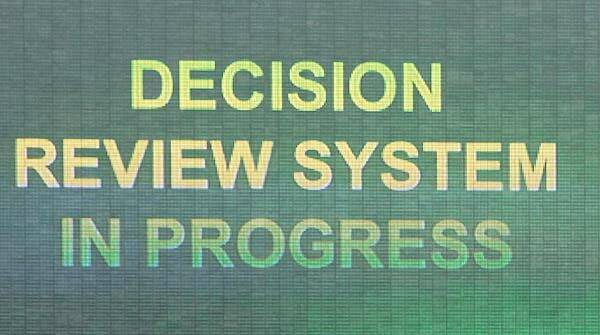 I’m talking about the controversial, and at times flawed, Decision Review System (DRS). Since its inception at the top level, the amount of criticism the system has copped has seen India not use it during series, and all manner of other types of howlers have made it look like cricket’s worst nightmare. Umpires (on-field and third umpire) are the final decision-makers. However, it feels like the technology is not only a part of the game, it is the game. Fans want to see entertainment, style and good play. They do not want a game that is marred by argument and debate and the focus moves away from the series at hand. At times, it feels like the regulation and control the umpires are implementing/need to implement is slipping away, due to the technology and human error. The current Ashes series has once again shown just why it is rattling the cages of all involved. If you believe the theory that the system is designed to reduce “howlers”, then looking for other reasons to be a “fan” might be a good idea. Now, the point of this is to not discuss each bad decision in detail, but to find out the problem. Where that lies seems to be up in smoke, but I can definitely point to the on-field umpires being a part of this problem. I want to look at this firstly from a point-of-view that starts from a local level, without all the screens, gadgets and earpieces. As an umpire in a large Melbourne metropolitan association, we are faced with the task of standing out in the middle for similar amounts of overs to the international umpires. Granted, it is a shorter time period, but the principle on both levels remains the same; the umpires are the ones in the middle, and they are the ones who must answer the appeals of the players, and then decide on the outcome. And that is where the international and the local levels separate. Whereas the elite has the latest in referral wizardry and multi-angle viewing, the grassroots has one factor that has seemingly disappeared from the top: human error. It still exists, but is overwhelmed by the constant use of modern items that are at hand. Have a look at metropolitan associations, and the decision comes down to a yes/no call based on only what happens in front of the umpire. When I have to make one of those calls, I have to weigh up my options in a split second and give what I believe is a fair call. Having the confidence to stand out there and officiate a game that does not involve an array of modern features is quite refreshing. It is my belief that the umpires at international level “fall back” on checking their decisions too much. They are almost second guessing at the same time too. One of the most notable sayings in sport is: “the best defense is a good offense.” Umpiring works on the same principle: stick to your guns, keep an open mind, and, most important of all, be a good umpire. The DRS is not there to be the primary decision-maker; the two people in black pants and white shirts are. Technology simply cannot overrun the game. Umpires must stand tall and take charge.